The famous Singapore Sling. The cocktail most associated with Far East luxury at the time of the British Occupation of the country. Absolutely no list of those traveling to Singapore would be without a listing of drinking a Singapore Sling at the Long Bar of the world famous 5 start luxury hotel, the Raffles Hotel. And rightly so, it s a tradition that must be honored by anyone coming to the city state. You can simply not come to Singapore and not do this – its boarders on sacrilegious to do so. The Singapore Sling was created around 1915, by a Long Bar bartender by the name of Ngiam Tong Boon. 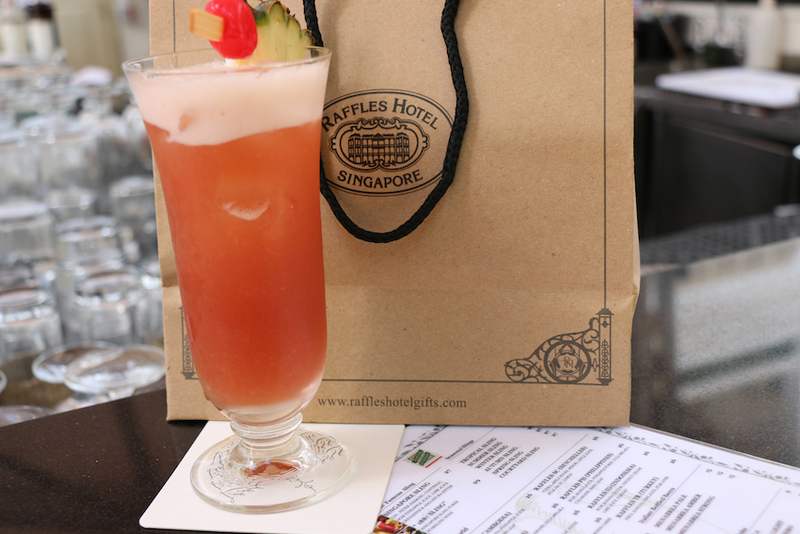 Its original name was the Gin Sling, but as its popularity grew, European and American travelers to the Raffles Hotel began to the Sling I had in Singapore – and hence the Singapore Slings name was born. While over the years, the recipe has been changed to cater for the changing tastes, overall the cocktail experience bare striking similarities to the original – and staying true to tradition, the modified version now being served at the Long Bar was developed by the nephew of the original creator. 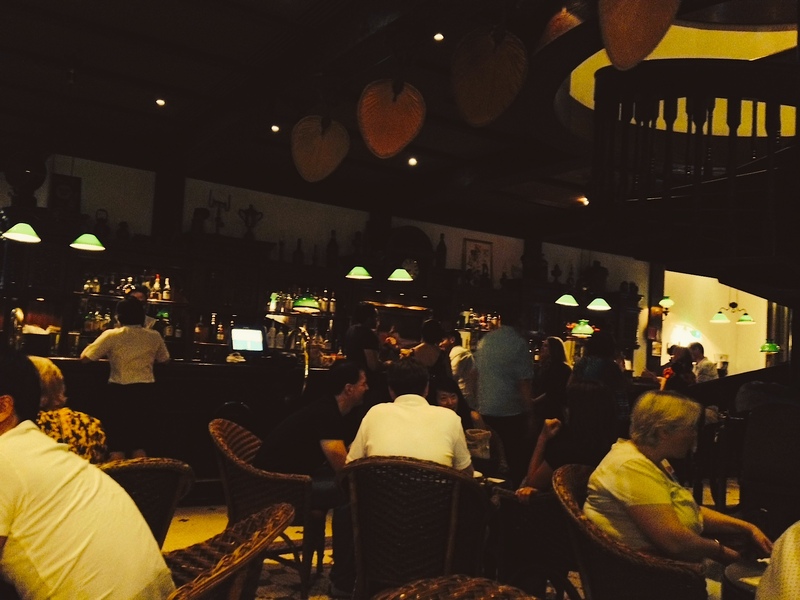 No visit to Singapore is complete without enjoying a Singapore Sling at the Long Bar at the Raffles Hotel. 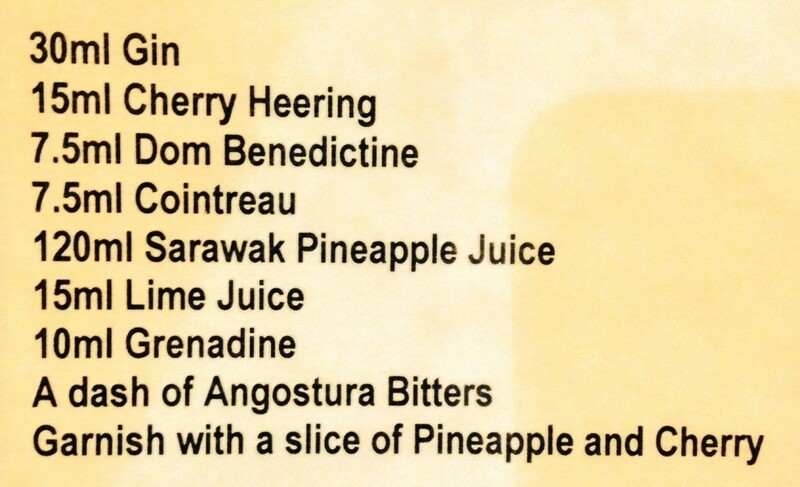 So, what’s in a Singapore Sling? Well, expect a concoction of various ingredients that present a sweet and fruity cocktail with alcohol undertones. Its one of those cocktails that is surprisingly good, even those it is on the sweeter end of the taste scale. Overlooking Singapore at 1 Altitude.